1. 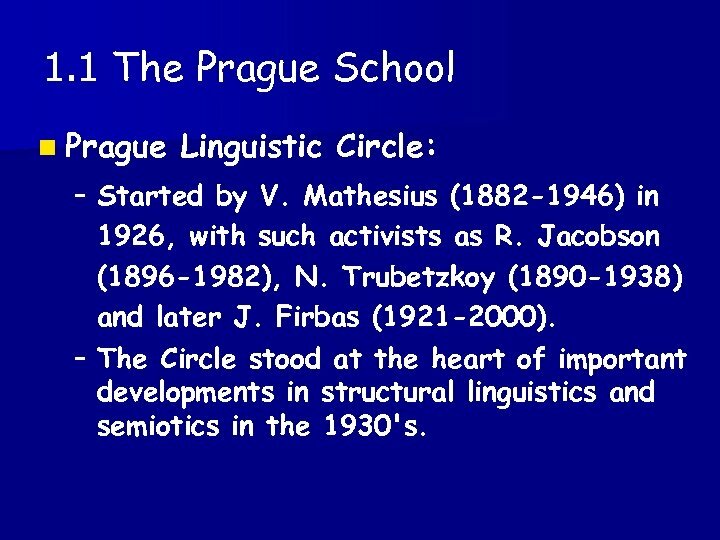 1 The Prague School n Prague Linguistic Circle: – Started by V. Mathesius (1882 -1946) in 1926, with such activists as R. Jacobson (1896 -1982), N. Trubetzkoy (1890 -1938) and later J. Firbas (1921 -2000). 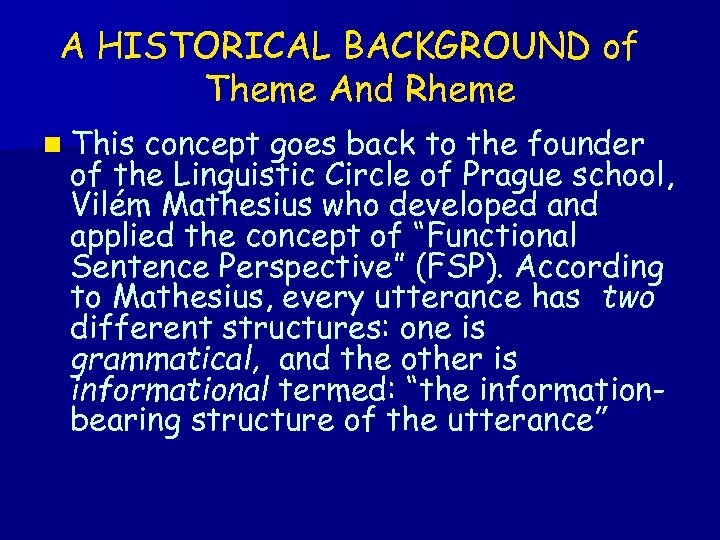 – The Circle stood at the heart of important developments in structural linguistics and semiotics in the 1930's. 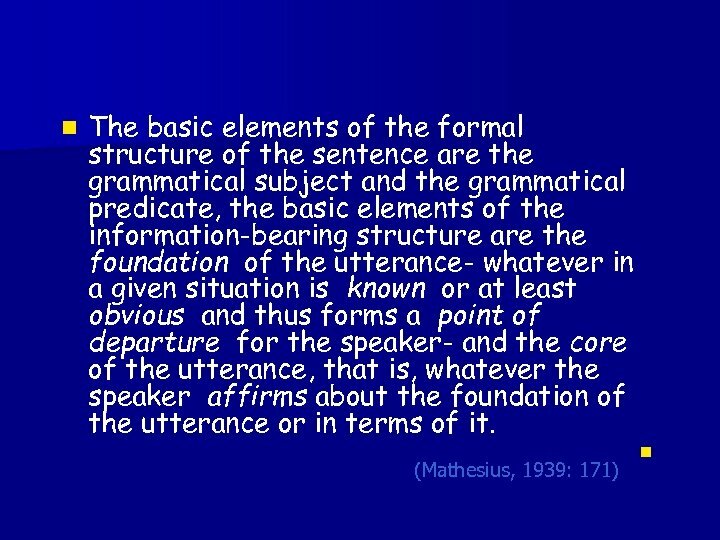 n. A sentence contains a point of departure and a goal of discourse. 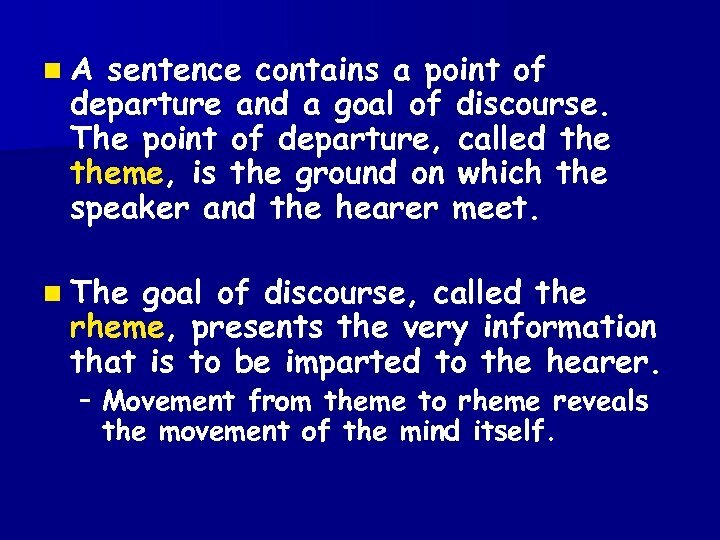 The point of departure, called theme, is the ground on which the speaker and the hearer meet. 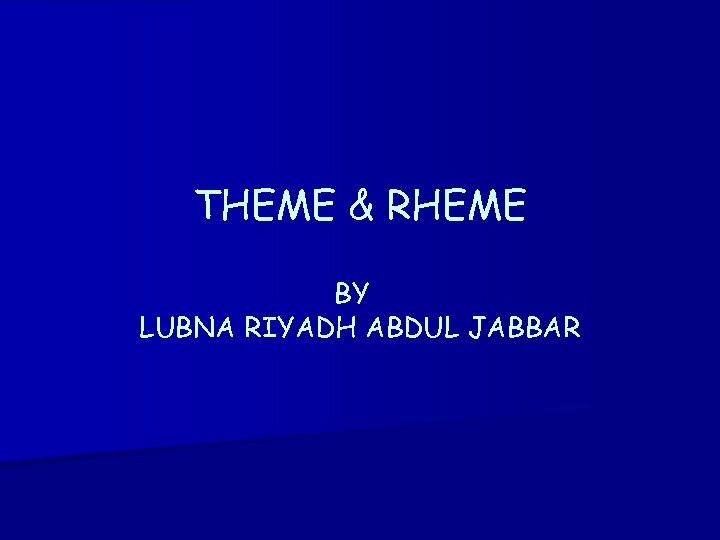 n The goal of discourse, called the rheme, presents the very information that is to be imparted to the hearer. 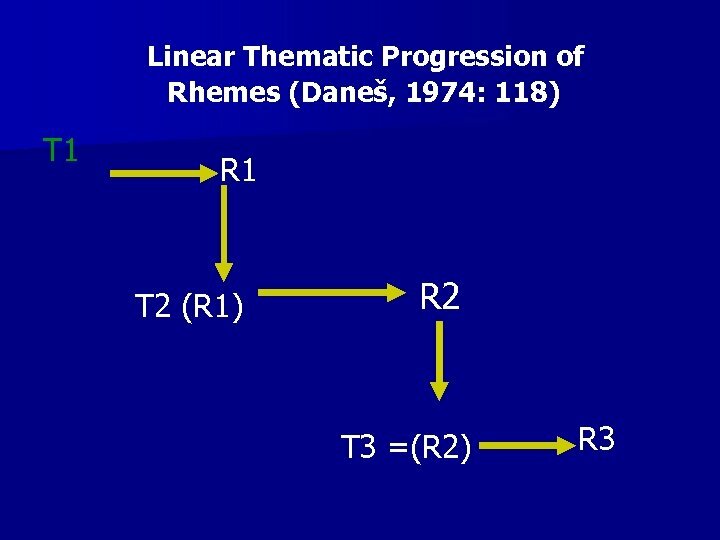 – Movement from theme to rheme reveals the movement of the mind itself. 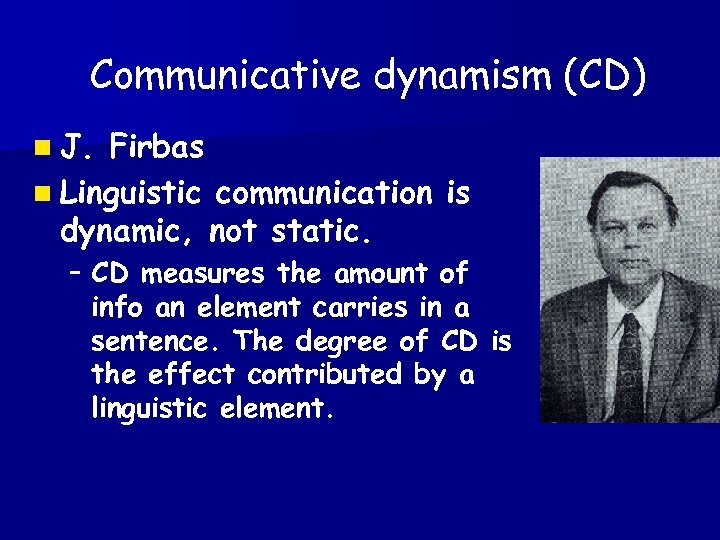 Communicative dynamism (CD) n J. Firbas n Linguistic communication is dynamic, not static. 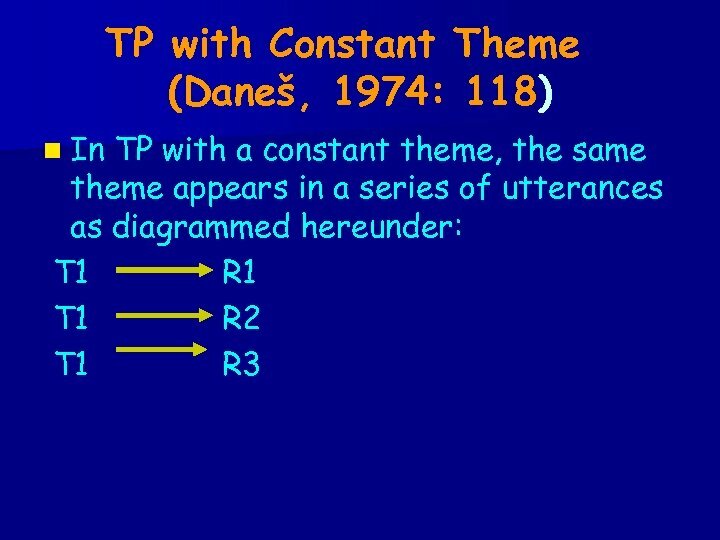 – CD measures the amount of info an element carries in a sentence. 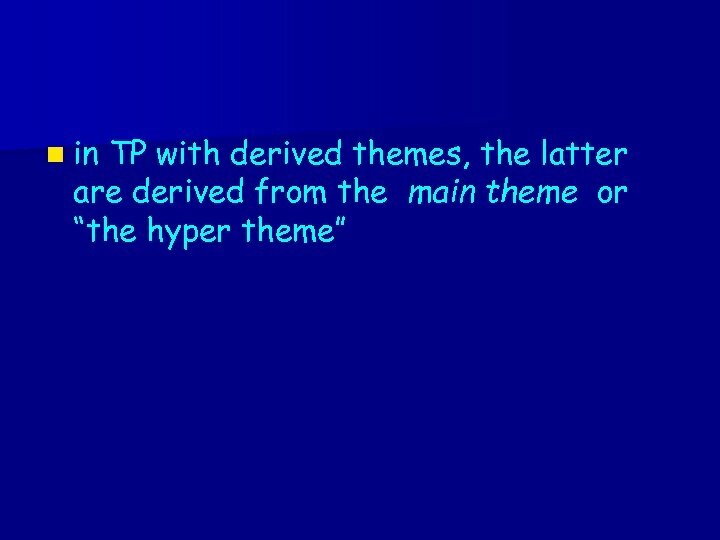 The degree of CD is the effect contributed by a linguistic element. 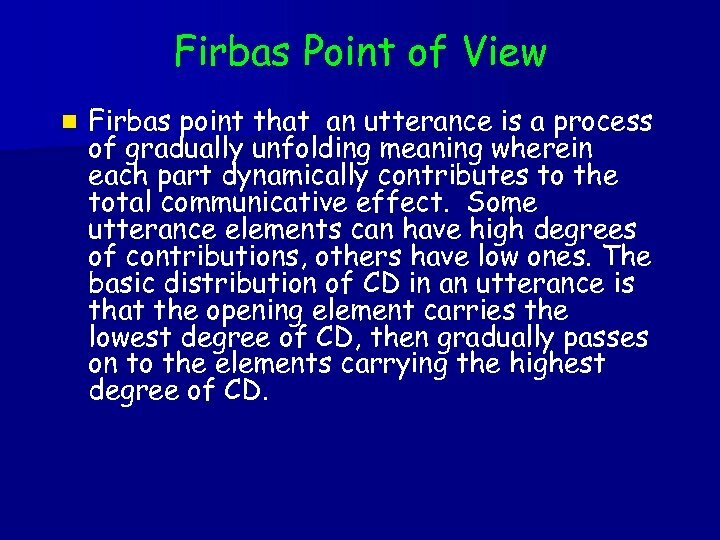 Firbas Point of View n Firbas point that an utterance is a process of gradually unfolding meaning wherein each part dynamically contributes to the total communicative effect. 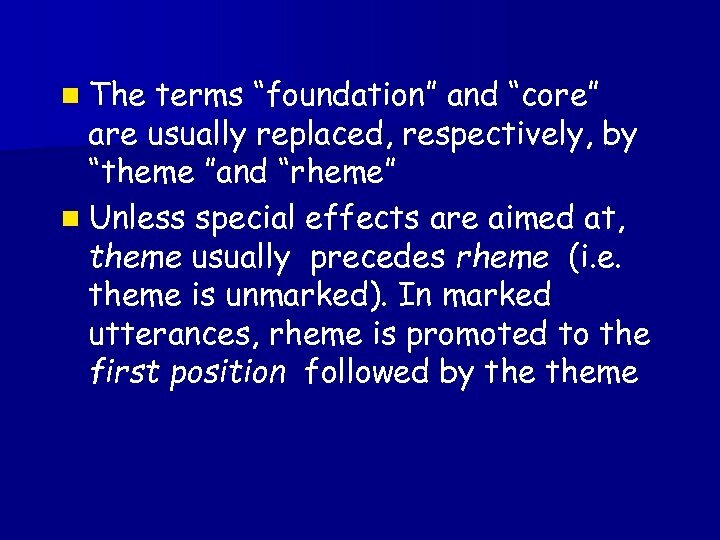 Some utterance elements can have high degrees of contributions, others have low ones. 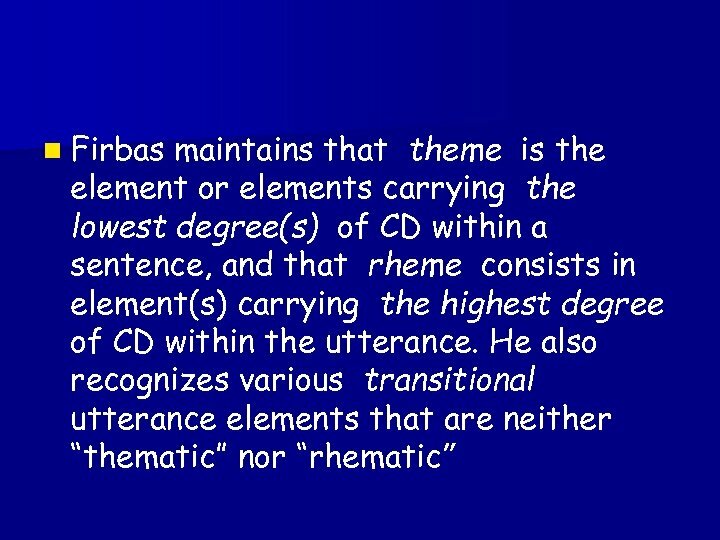 The basic distribution of CD in an utterance is that the opening element carries the lowest degree of CD, then gradually passes on to the elements carrying the highest degree of CD. n He was cross. 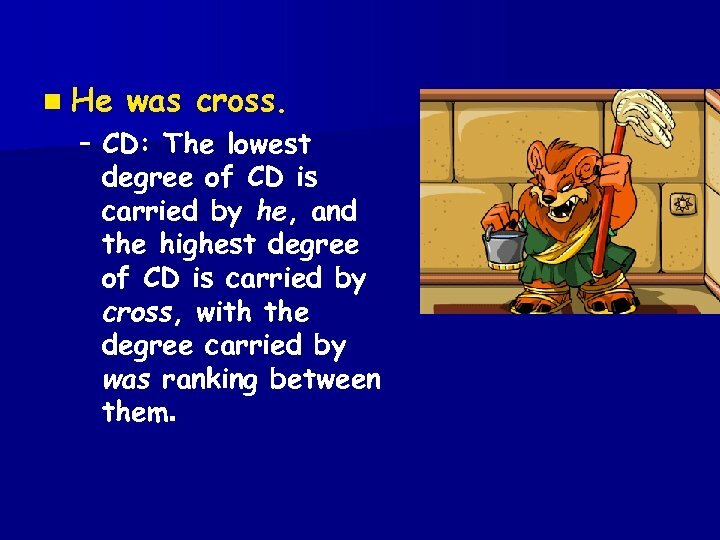 – CD: The lowest degree of CD is carried by he, and the highest degree of CD is carried by cross, with the degree carried by was ranking between them. 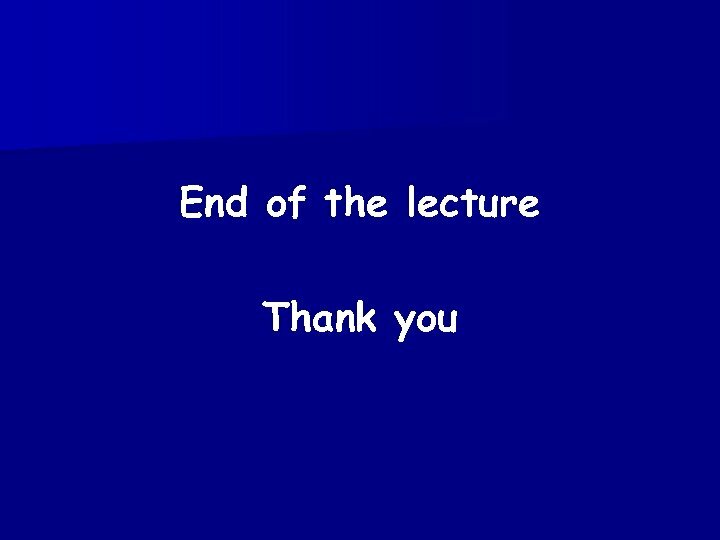 n Normally the subject carries a lower degree of CD than the verb and/or the object and/or adverbial provided either the verb or the object and/or adverbial are contextually independent. 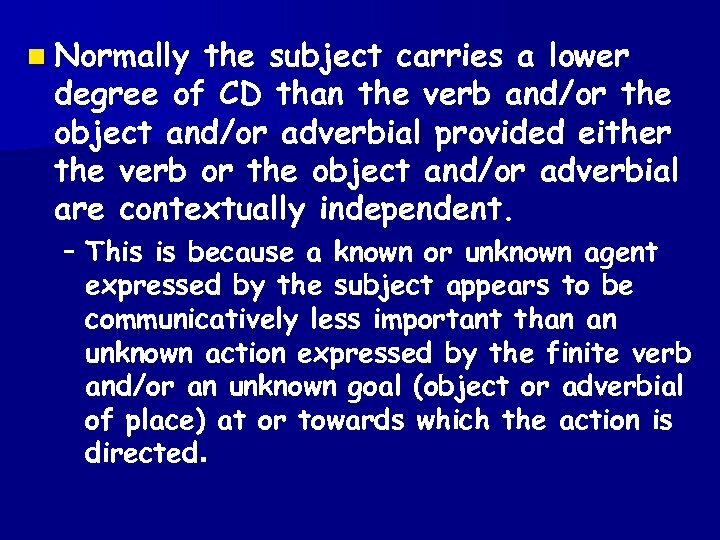 – This is because a known or unknown agent expressed by the subject appears to be communicatively less important than an unknown action expressed by the finite verb and/or an unknown goal (object or adverbial of place) at or towards which the action is directed. 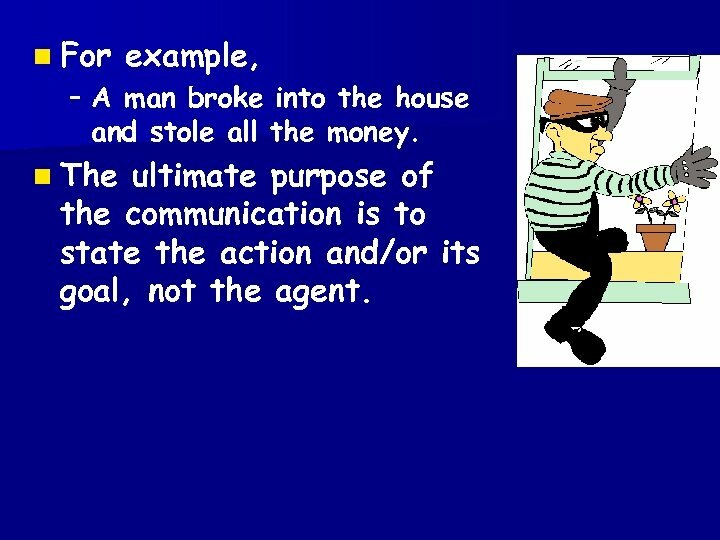 n For example, – A man broke into the house and stole all the money. 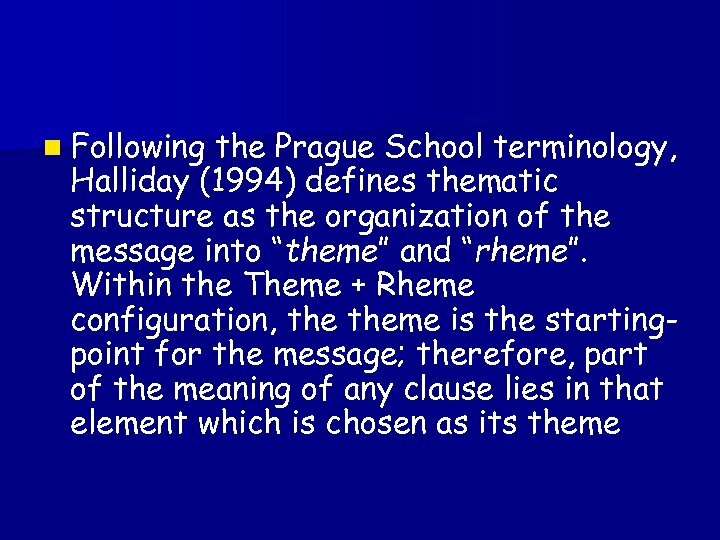 n The ultimate purpose of the communication is to state the action and/or its goal, not the agent. 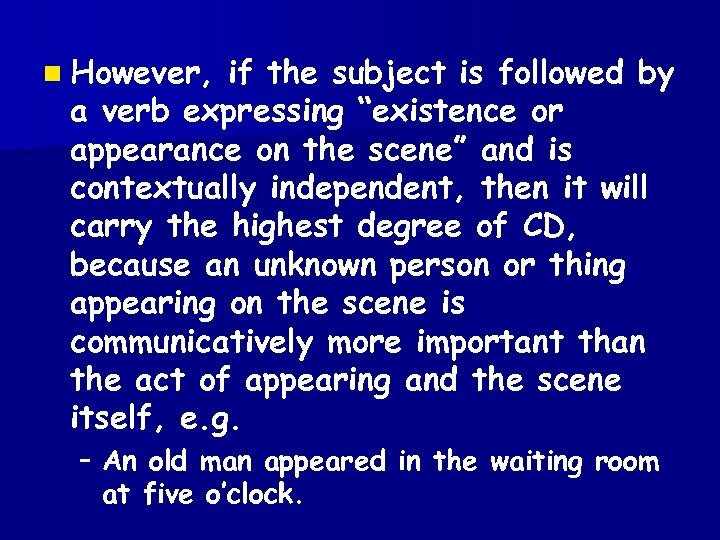 n However, if the subject is followed by a verb expressing “existence or appearance on the scene” and is contextually independent, then it will carry the highest degree of CD, because an unknown person or thing appearing on the scene is communicatively more important than the act of appearing and the scene itself, e. g. – An old man appeared in the waiting room at five o’clock. 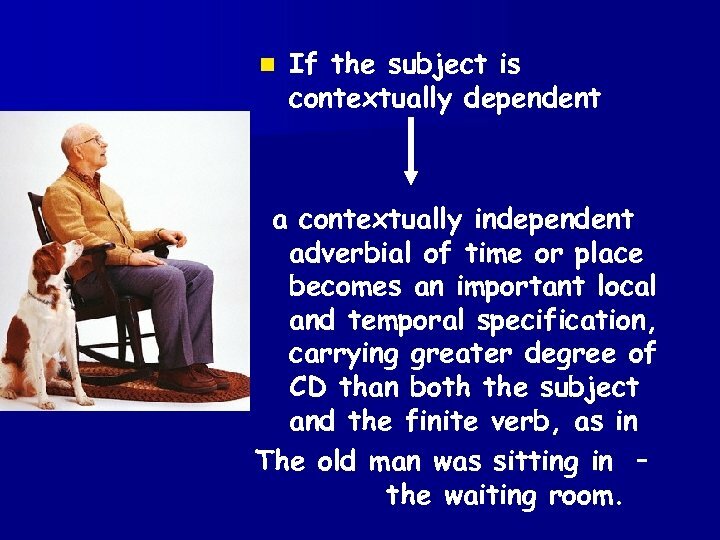 n If the subject is contextually dependent a contextually independent adverbial of time or place becomes an important local and temporal specification, carrying greater degree of CD than both the subject and the finite verb, as in The old man was sitting in – the waiting room. 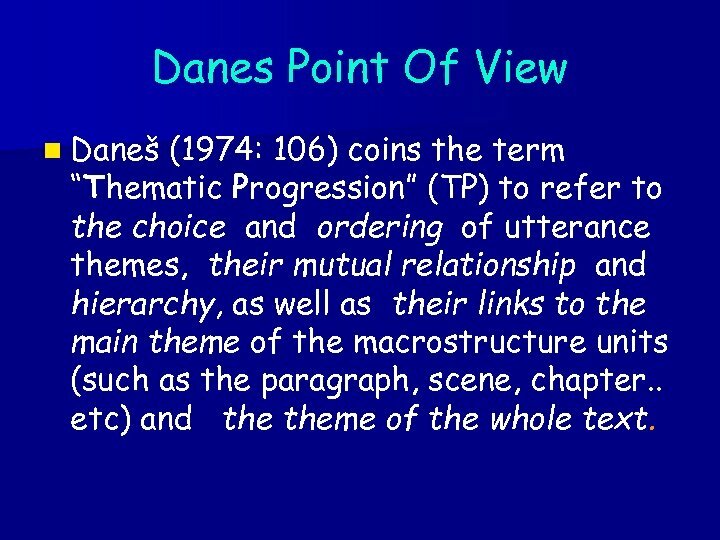 Danes Point Of View n Daneš (1974: 106) coins the term “Thematic Progression” (TP) to refer to the choice and ordering of utterance themes, their mutual relationship and hierarchy, as well as their links to the main theme of the macrostructure units (such as the paragraph, scene, chapter. . etc) and theme of the whole text. Dear John: Me, I’m sitting here at my desk writing to you. What’s outside my window is a big lawn surrounded by trees and it’s a flower bed that’s in the middle What time did you leave the building? of the lawn. When it was full of daffodils and tulips was in the spring. Here John kissed Mary What I did It’s five who must come andthe building. what we’ve got at you thirty was. Thematic leave you’d love it.  Mary was kissed by John stay sometimes; Progression rheme (comment) n Plenty of room. 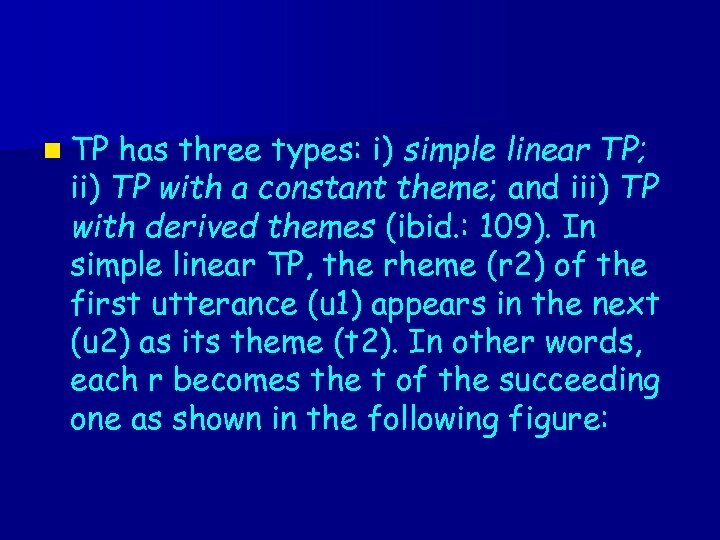 was John who kissed Mary theme (topic)It Love, Sally It was Mary who was kissed by John I ‘m sitting here Discourse structure Problem of linearization: first-mentioned influences second-mentioned. Outside my window Dear John: What John did was kiss Mary is a big lawn I can’tthe lawn Sally. She’s tall and thin and – stand In the middle. Who my desk writing to you. 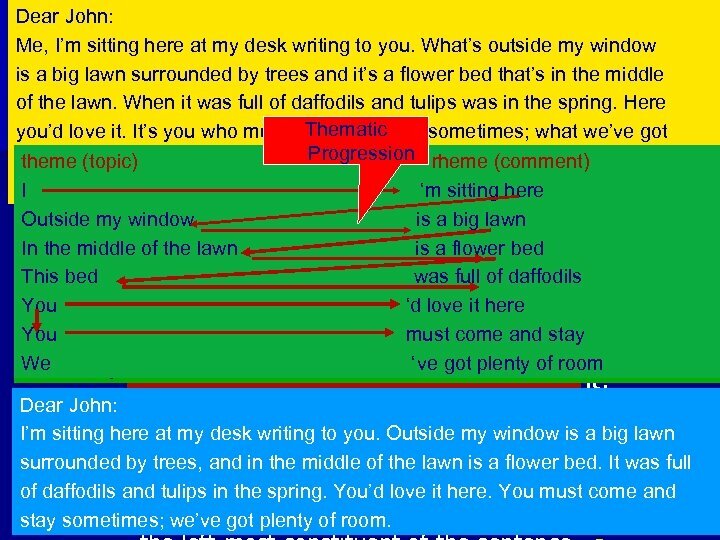 A big a flower bed ofat John kissed was Mary is lawn surrounded by trees is I’m sitting here This bed window. John a flowerher is inwalks full of daffodils It was full was like a crane. outside my Mary, and kissed bed the middle of the lawn. You I really tulips in the. Sally. She’s ‘d love it here must come and tall and thin of daffodils and admire spring. You’d love it here. 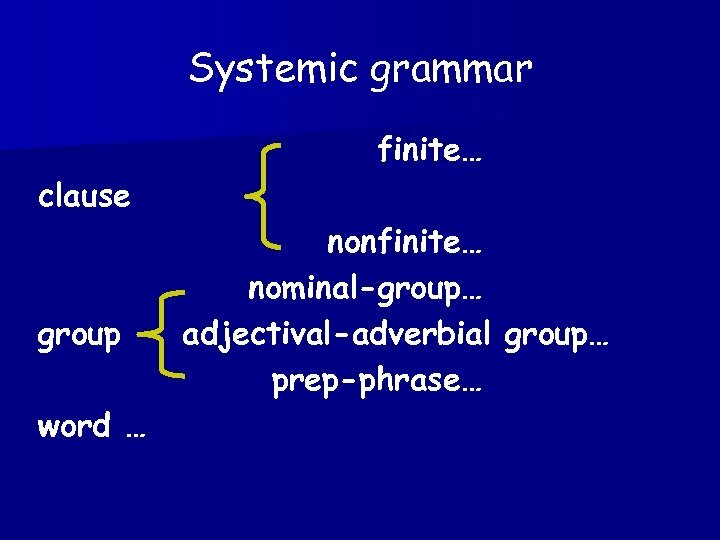 You and – You sometime; we’ve different syntactic structures stay Why are got pleanty of room. must come and stay walks like a crane. 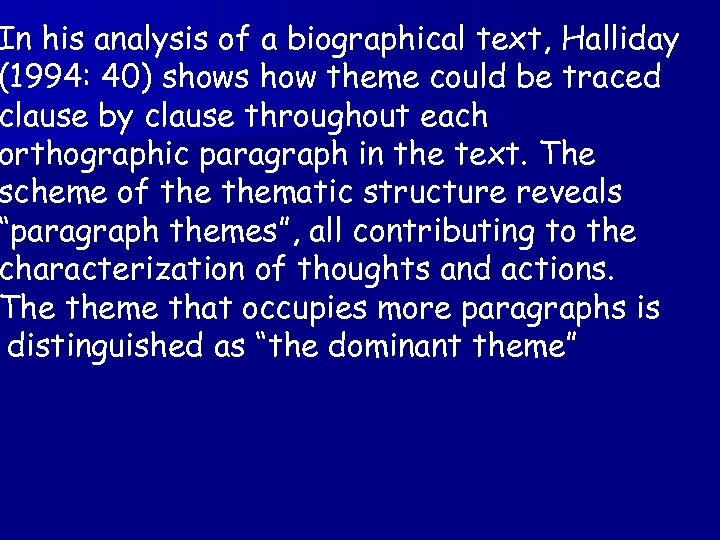 We Sally with the same propositional content used? of room ‘ve got plenty Love, She married and became pregnant. – Dear John: pregnant my window is a big lawn The She becameto you. Outsideand married. 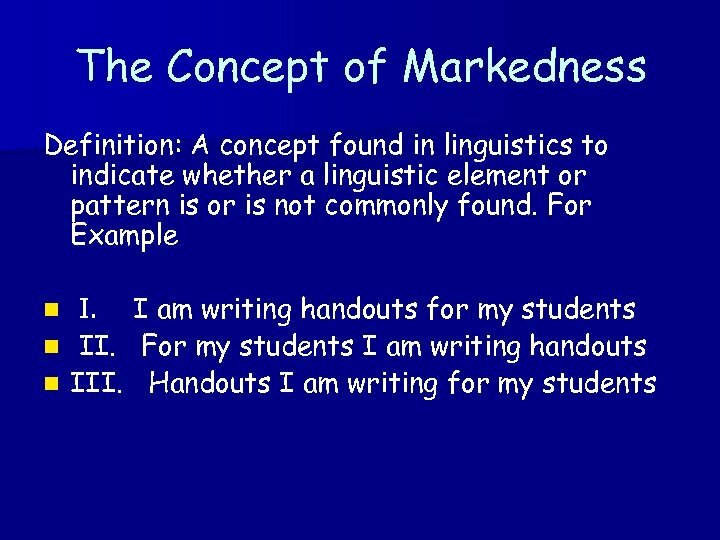 – I’m sitting here at more marked the construction, the more my desk writing Thematic organization of the sentence: likely an implicated meaning will be expressed surrounded by trees, and in the middle of the lawn is a flower bed. It wasn full of daffodils and tulips in the spring. You’d love it here. 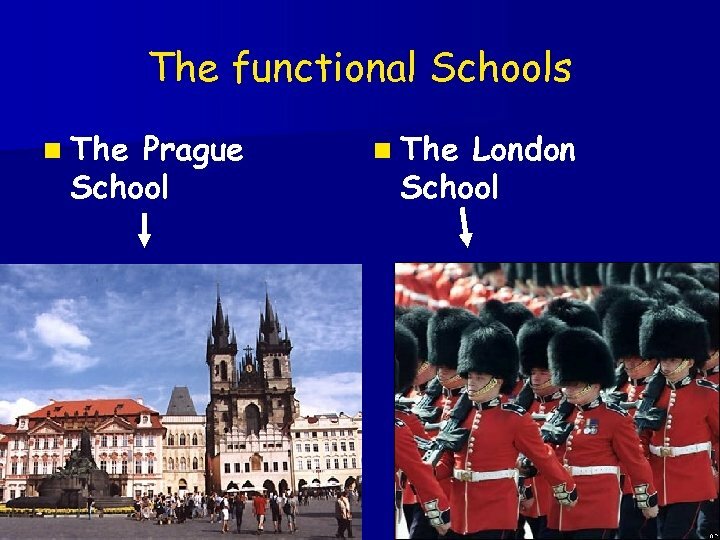 You must come and Theme: – stay sometimes; we’ve got plenty of room. 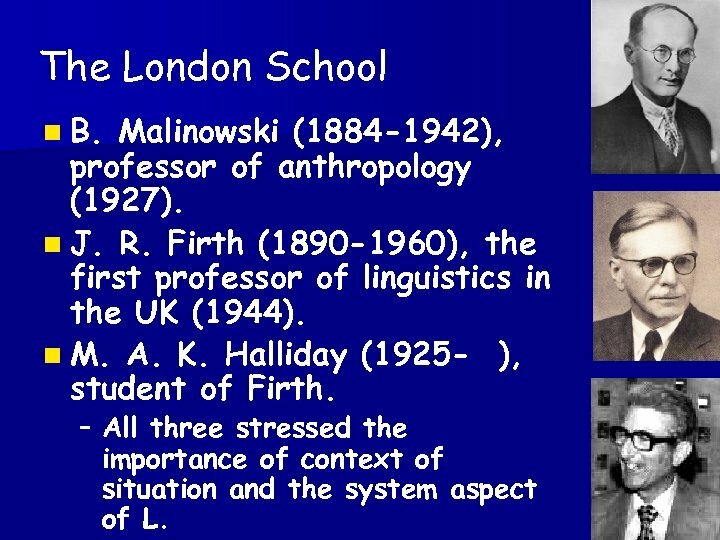 The London School n B. Malinowski (1884 -1942), professor of anthropology (1927). n J. R. Firth (1890 -1960), the first professor of linguistics in the UK (1944). n M. A. K. Halliday (1925 - ), student of Firth. 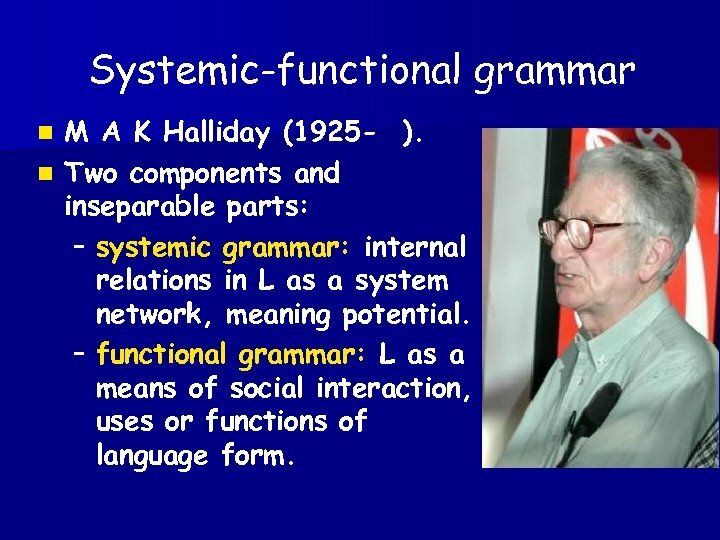 – All three stressed the importance of context of situation and the system aspect of L.
Identification of the Theme n The identification of the Theme is then based on word order. 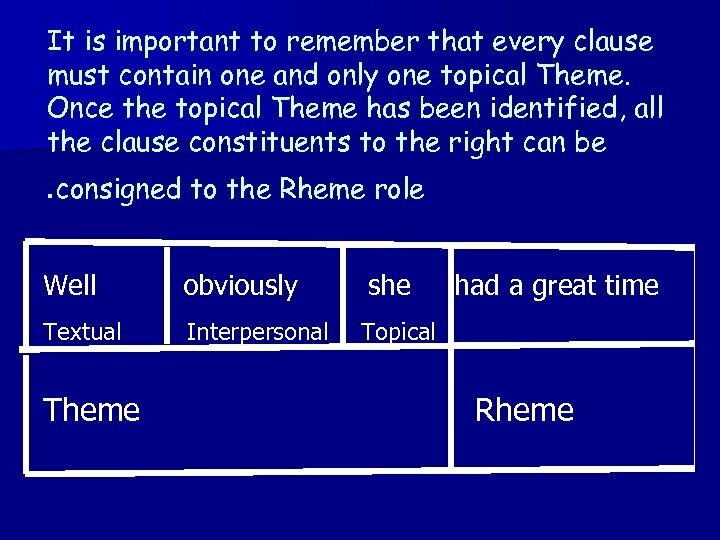 The element which comes first in the clause is the Theme and what comes after it is the Rheme. 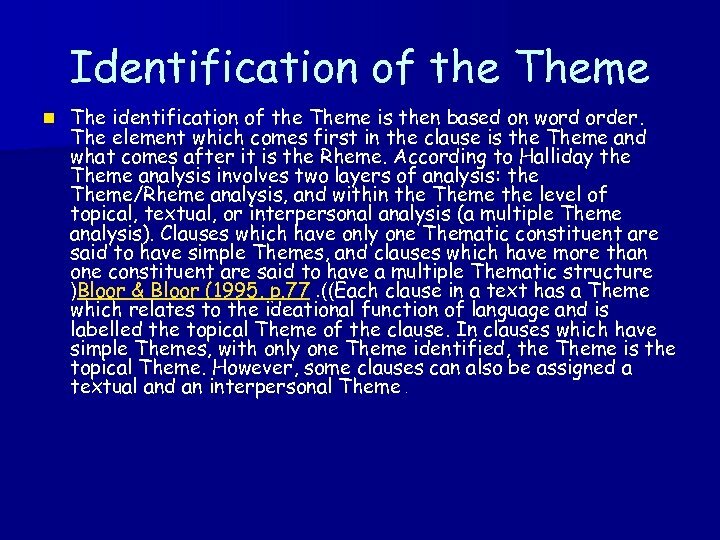 According to Halliday the Theme analysis involves two layers of analysis : the Theme/Rheme analysis, and within the Theme the level of topical, textual, or interpersonal analysis (a multiple Theme analysis). 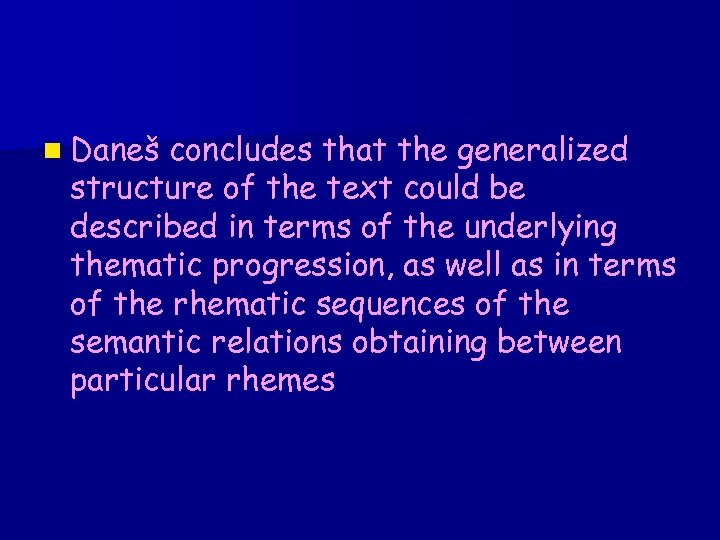 Clauses which have only one Thematic constituent are said to have simple Themes, and clauses which have more than one constituent are said to have a multiple Thematic structure )Bloor & Bloor (1995, p. 77. 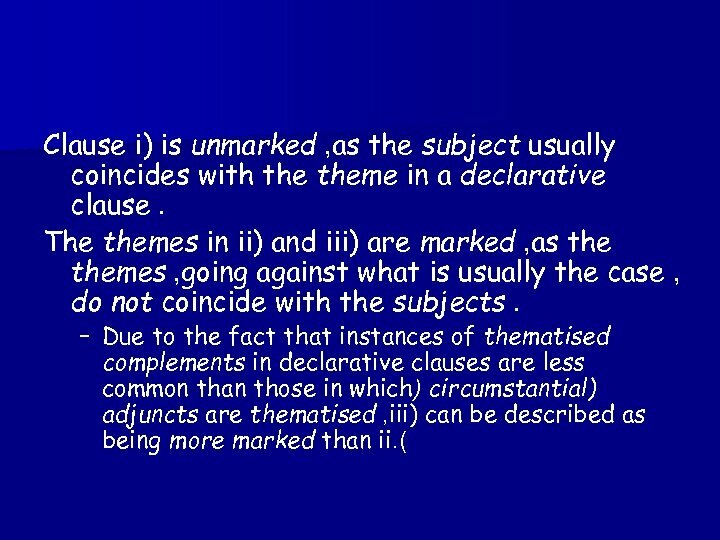 ((Each clause in a text has a Theme which relates to the ideational function of language and is labelled the topical Theme of the clause. 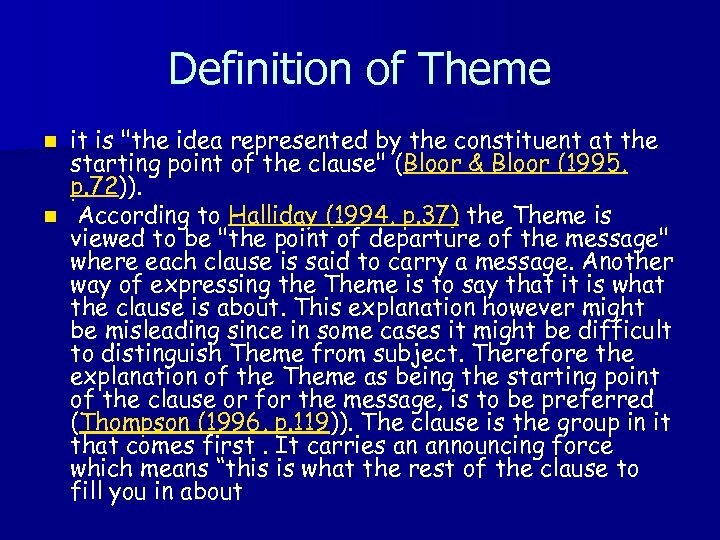 In clauses which have simple Themes, with only one Theme identified, the Theme is the topical Theme. 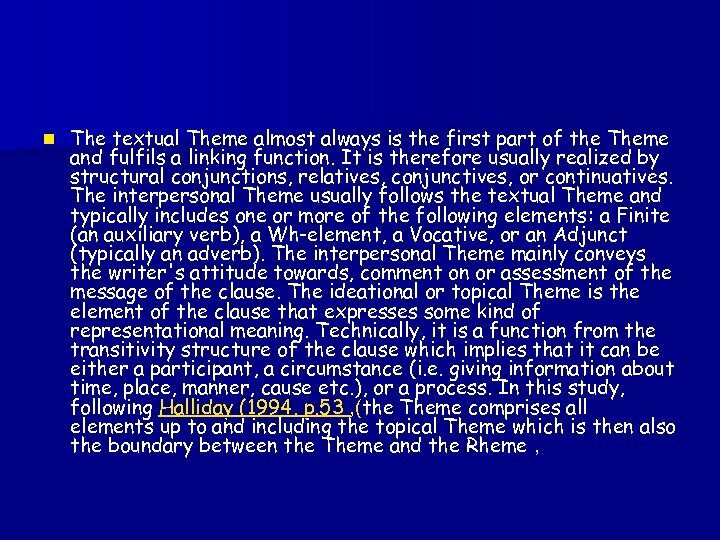 However, some clauses can also be assigned a textual and an interpersonal Theme. 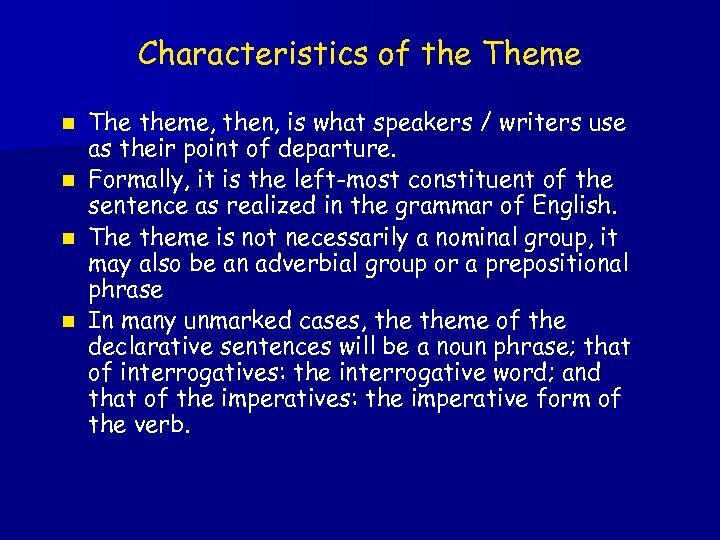 Characteristics of the Theme n n The theme, then, is what speakers / writers use as their point of departure. 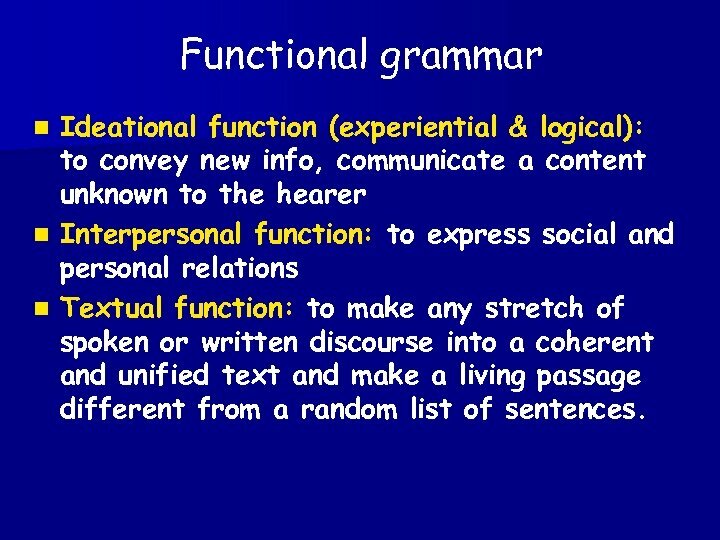 Formally, it is the left-most constituent of the sentence as realized in the grammar of English. 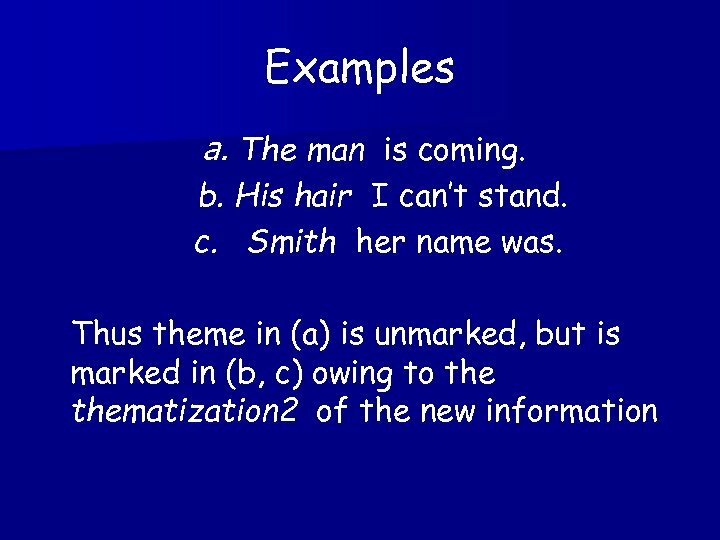 The theme is not necessarily a nominal group, it may also be an adverbial group or a prepositional phrase In many unmarked cases, theme of the declarative sentences will be a noun phrase; that of interrogatives: the interrogative word; and that of the imperatives: the imperative form of the verb. Episode 4. Part 1. 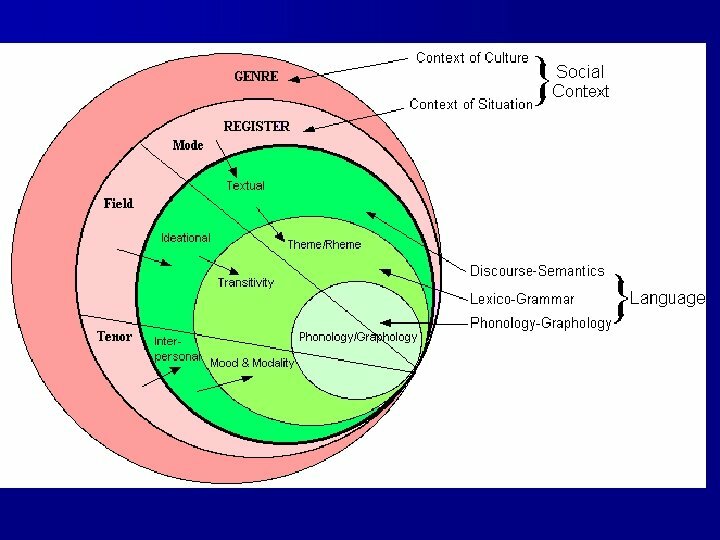 Vocabulary.